It is not a bunch of grapes, no more. It is not a delicate pineapple, which likes cold. growing up along the path. You guess what is it? 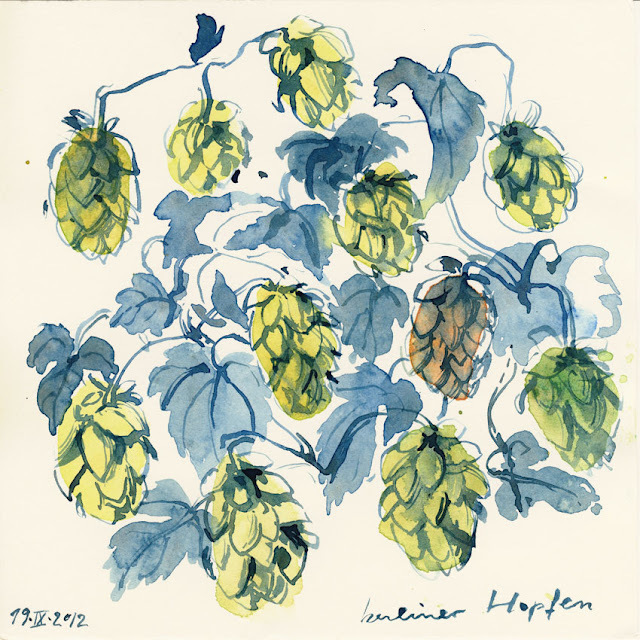 It is hop! berliner hop. It is bursting right now, decorating the green walls, and announcing berliner beer.